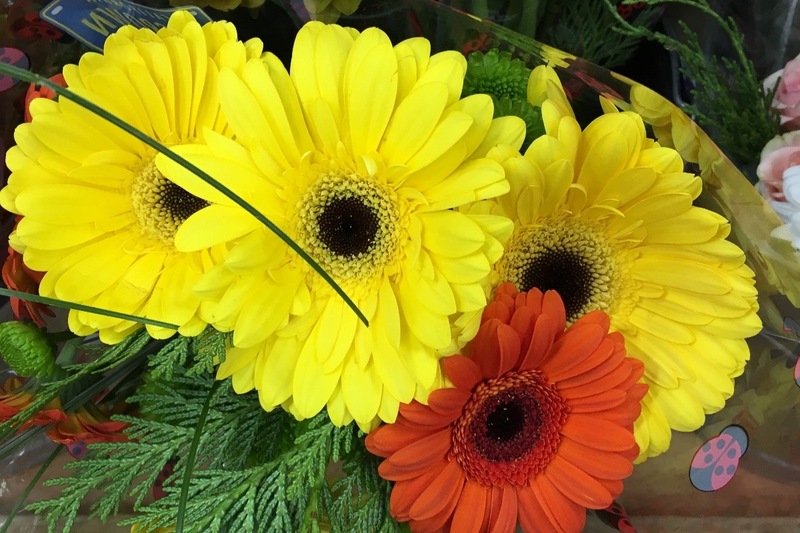 You can help, with a financial gift. Please make your year-end generous gift by Midnight Dec. 31. The gift of provides a daily after school safe place to do homework with friendly tutors and mentors. The difference in the median salary of a high school graduate versus a non-high school graduate amounts to $630,000 over a person’s lifetime, according to the U.S. Labor Department Statistics. 100% of the students who attend Educate Youth, for six months or more, graduate High School with a 2-year plan for their hardworking future. We provide hot meals, coats, backpacks, and year around school supplies. Once our students enter the 12th grade, we hire them as mentors to younger students. This provides students with real world experience and skills that are competitive for resume building. 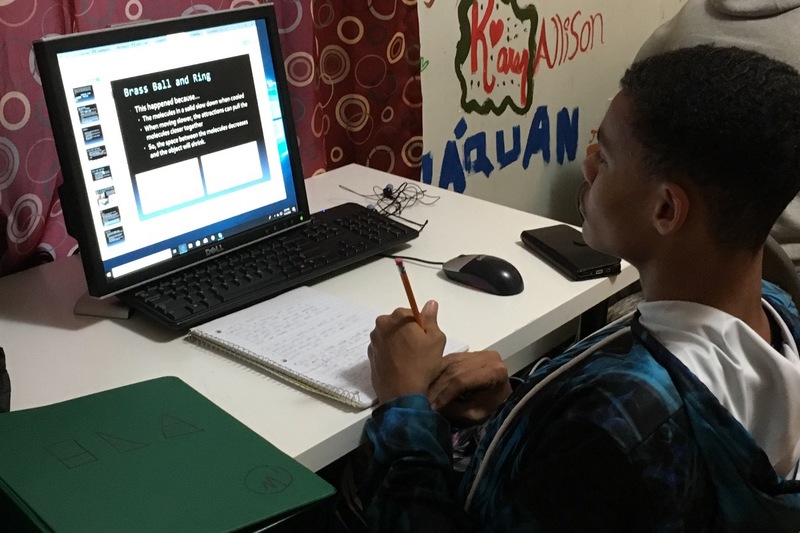 Our PROVEN after school curriculum entails academic, social, and developmental support as well as College Prep/SAT prep and interview skills. We are the only nonprofit providing daily positive preventative academic and social programs. All of our students live in the City of Ypsilanti or the township. Each program is designed for the challenges of our students. Educate Youth opens up the world for these students so they can have honest conversations about the possibilities life holds for them. Every $160 brings a month of academic support and a hot meal to one student. How many lives will you change today? An EMU social work 350 student with an 8th grader. 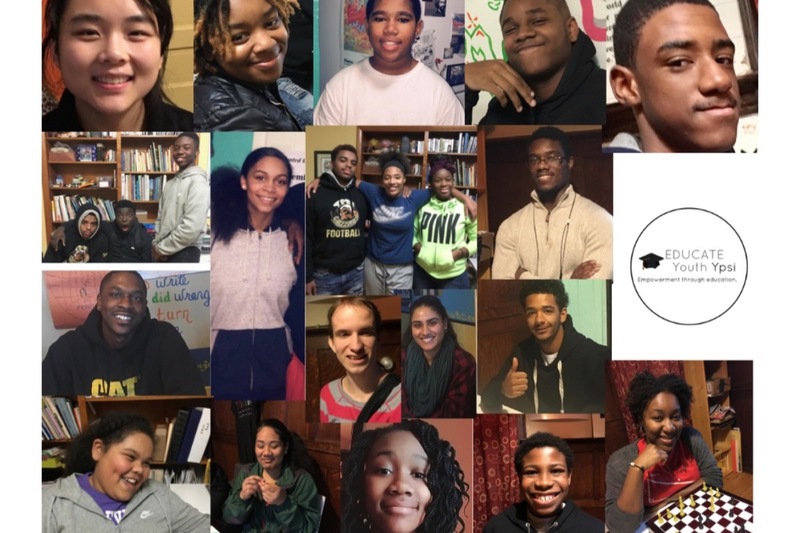 The goal of the Educate Youth Program is simple: Help teens graduate from High School with a 2-year plan for their future. We do this through a combination of mentorship, dialogue, and engagement activities. With the generous help of our donors we are able to provide hot meals, coats, backpacks and school supplies. We provide wrap-around education and we are able to meet teens where they are. The Clubhouse is a safe place for students to become lifelong learners. Our students choose to be here every day. First we challenge and strengthen the academic and social skills of 8-10th graders. Once our participants enter the 11th grade, we hire them as mentors to younger teens. This gives them real world job experience and skills that are competitive for resume building. The Educate Youth program has shown remarkable results. We have a 100% graduation rate for students who finish their senior year with us. All of our former participants are currently in college or are working in a skilled trade. This contribution is on behalf of the NPHC AA/Ypsi chapter. As well as Mr. Justin Thomas for encouraging the donation by attending our annual Greek weekend of fraternities and Sororities. Thank you for the backpacks! School supplies are being purchased. The clubhouse is being cleaned and getting ready for the 2018-2019 academic programs. Week 4 ended with a splash~ at the Rec Im building at EMU. Everyone had a opportunity to play basketball, work out in the fitness area, and SWIM. Day 4, we went to Go Ice Cream to hear how Rob went from loving to make ice cream to owning a business. I REALLY want to express my gratitude to the three business who took the time to share, listen, and to talk with us. Black Rock Book and Cultural Center, Ypsilanti Running Company, and Go Ice Cream. Afterwards, Gillian Reams Ainsley came to tell us why she is running to be on the Ypsilanti School Board. Day 1 of Week 3~ this week we visit local businesses to learn the reason to turn a passion into a business. Local and state candidates begin to visit the clubhouse. Summer Vacation 2018 is going forward. Board Games~ When was the last time you spent two hours playing a board game? Day 3 of Week 2, we did! Come join us. 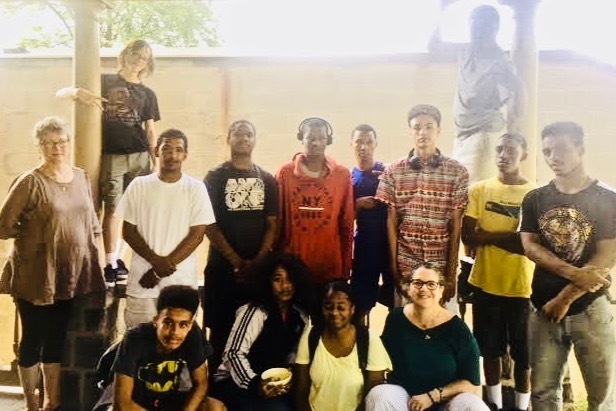 Summer Vacation 2018 makes a positive difference in teens who live in Ypsilanti and their mental health by providing face-to-face academic and emotional support. Our curriculum helps teens to learn and to develop new ways of thinking. 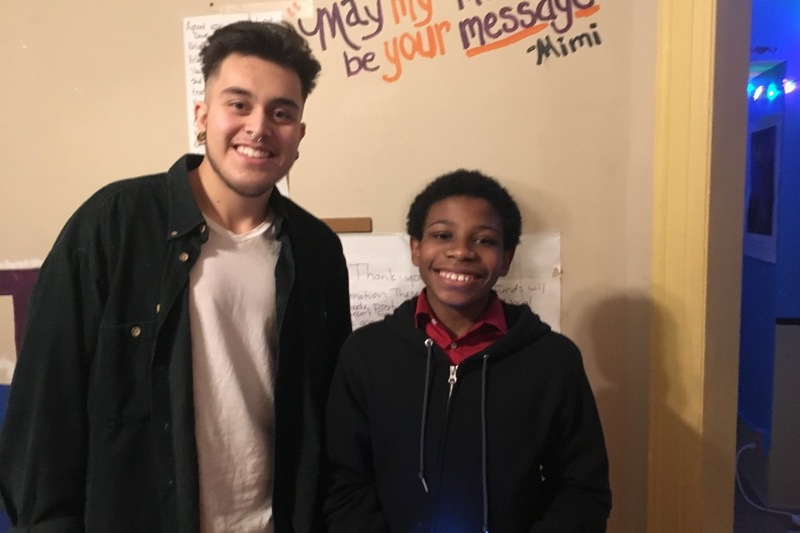 Through-out the day, teens work together to learn, to listen, and to solve problems~ There is diversity of backgrounds, yet there is one thing in common~ they live in Ypsilanti. Week 5 Over coming barriers and challenges. Each week participants go on an outings and a field trips.The outings and field trips are to help reinforce positive social interactions and to practice being able to adapt to change and do different things. Here are a few of the outings: Rutherford Pool, Roller Skating, Scrap box. 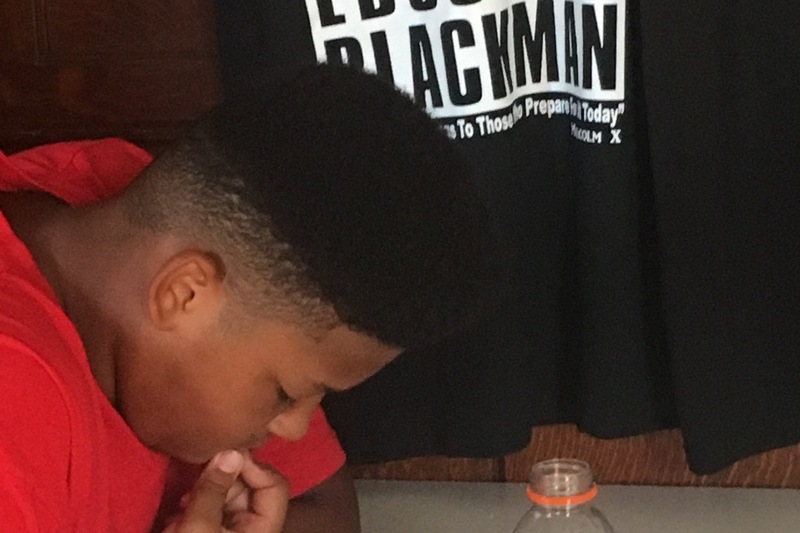 Our field trips: African American Museum and Wayne State University, Walking While Black movie and discussion and visit to EMU, The Creature Conservancy. Daily participants read one-on-one for 1.5 hours with a reading buddy. The goal is to strengthen skills and practice reading. Higher reading levels = better academic success. Math is one of the scariest subject. Daily participants will work at their level to develop the skills and practice for the math. Cooking weeks, teens will learn how to cook delicious and nutritious meals, which will help them develop independence and healthy habits. The stipend provides a real live experience of one way to earn and receive money. 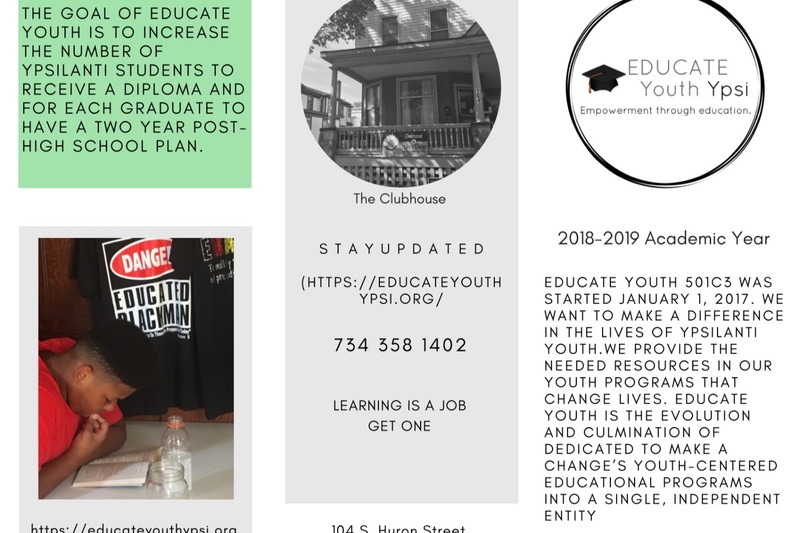 Educate Youth makes a difference in the lives of teens living in Ypsilanti. Many live in an urban environment and have experienced trauma or stressful events. We provide Year Around Programs with face-to-face academic and emotional support. Teens that participate in our program are exposed to a variety of activities, field trips and academic support. 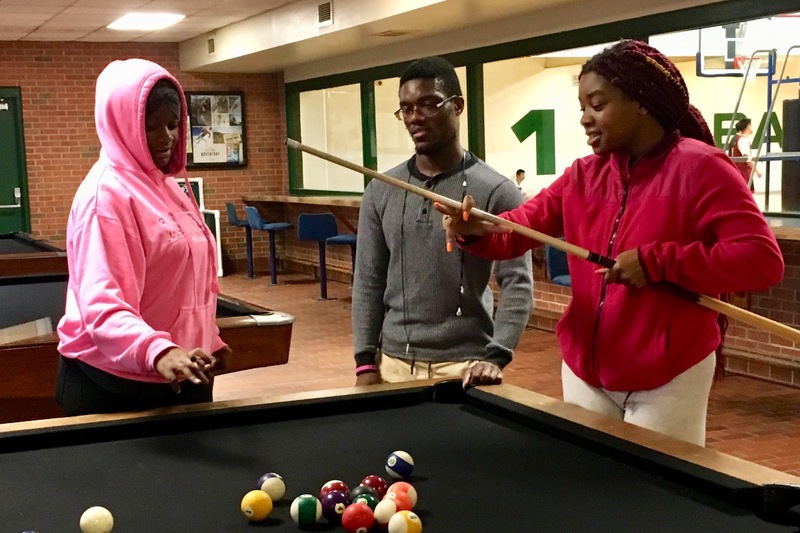 Summer Vacation 2018 is a positive summer activity for a population of youth who often say, “there’s nothing to do in Ypsilanti.” Teens being able to apply themselves to something positive is important for the strength and safety of a community. Educate Youth , Summer Vacation 2018, include reading support and field trips, community gardening, and volunteer experiences. Our programs have a social and emotional approach to help students manage their emotions, work with others, and set goals. Reading, reading, reading~ Teens who participant, in Summer Vacation 2018, have reading levels half of their grade level. Each week, each person, will have a reading buddy to practice reading. That is 10 solid hours of reading each week. By the end of the summer the goals are to increase the reading level, two or more years years, and to learn to enjoy reading. Educate Youth provides transportation for teens. We acknowledge the best summer program is not good if teens are unable to get there. Your funds provide: youth with a financial stipend, entrance fees for field trips, gas money for field trips and daily transportation to and from Summer Vacation 2018, lunch and snacks, and teens mentor to show how daily choices can help support a healthy lifestyle and guidance. Educate Youth is Grateful for the funds you give for Summer Vacation 2018. 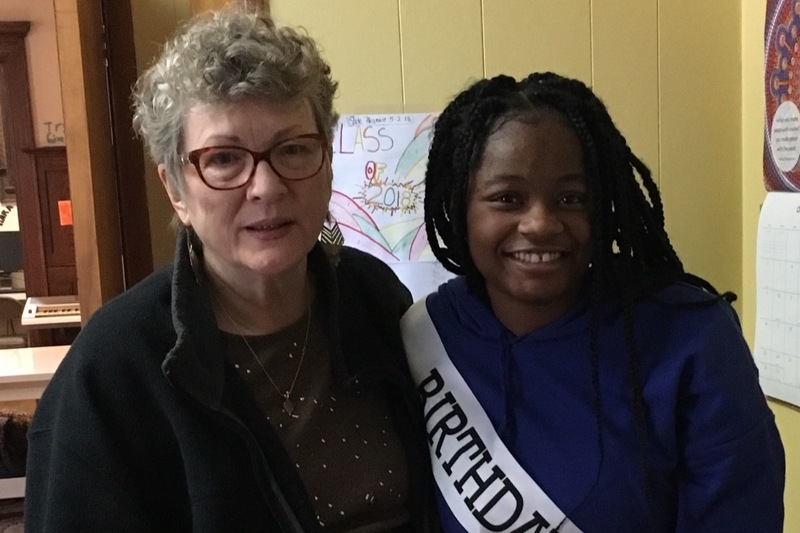 Week 4~ Along with our daily reading, math, and conversations we are being visited by Anne Brown, candidate for Ypsilanti Mayor and Gillian Reames Gainsley candidate for Ypsilanti School board. We are visiting Go Ice Cream and the Rec Im at EMU. Tonight, we going to experience a work out at the Ypsilanti Running Company. We can expect to have a fun filled week. Day 1 of Week 3~ this week we will visit local businesses to learn the reason to turn a passion into a business. Thank you, Sara for building Summer Vacation 2018. 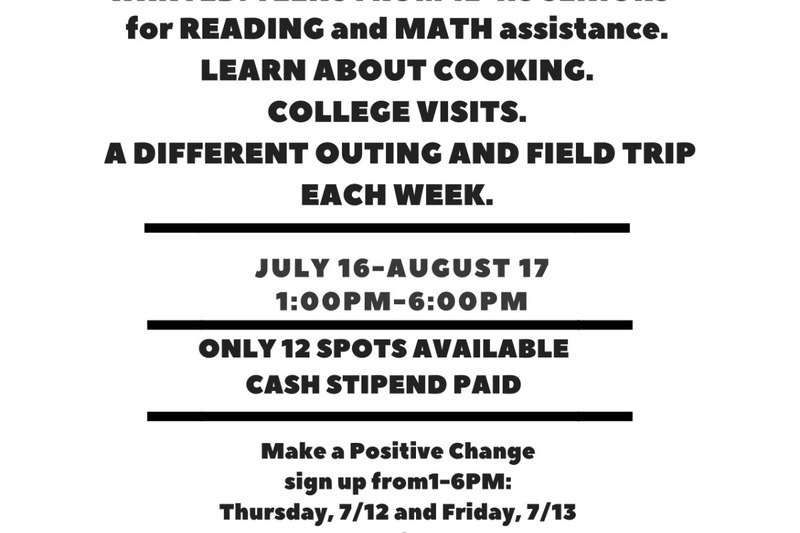 Your funds help to create a positive experience for teens living in Ypsilanti. Please share our Go Fund Me with your friends and relations. One of the greatest benefits of Educate Youth is that we see each teen for who they are and not what they have done or not done. Summer Vacation 2018 is a positive summer activity and is important for the strength and safety of teens in the community.